TEI is the most experienced and knowledgeable cooling tower supplier in the industry regarding high efficiency pvc and ceramic fill materials. We maintain a detail Life Cycle Cost Evaluation that differentiates the first cost and long term operational savings that can be afforded by each fill material. The information used for the evaluations may be adjusted or customized to more accurately reflect the particular project requirements. HPC fill offers the client a permanent material of construction, identical to conventional ceramic block tile, with a wetted surface area that closely approaches that of PVC fill material. HPC fill is guaranteed in writing for a full twenty-five (25) year minimum mechanical and 100% thermal performance capacity capability. Therefore, it quickly becomes the fill material of choice for high efficiency, long term 100% thermal performance capability. HPC fill’s reduced static pressure requirements also results in decreased horsepower requirements and reduced operational cost when compared to traditional block tile fill. 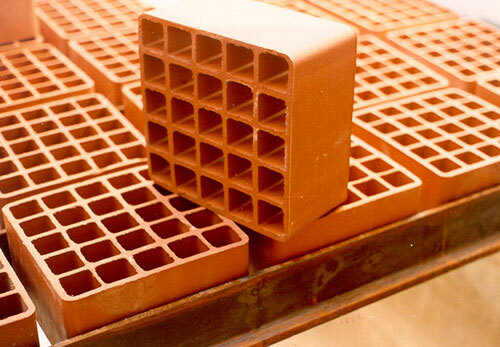 Since 1982, TEI has offered ceramic block tile as the premier fill material in the cooling tower industry. Ceramic block tile is guaranteed for twenty-five (25) years minimum mechanical and 100% thermal performance capacity capability. The fill is designed to outlast the building application it serves. Although it is expected to be ultimately be replaced by TEI’s HPC fill, ceramic block fill continues to be available when client requirements for “like-fashion” expansion of existing block tile installations is preferred. 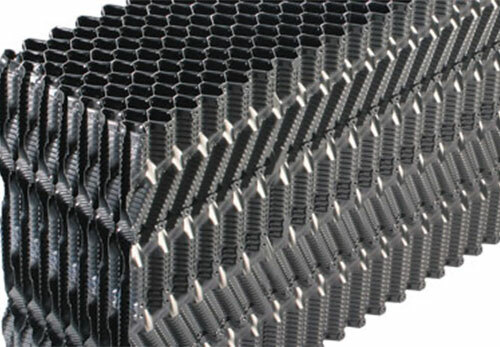 PVC cellular fill is the most efficient fill material available in today’s marketplace; however, it is subject to fouling similar to condenser tube fouling. 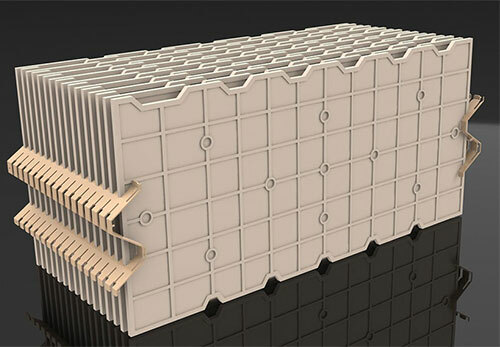 Consequently, the 100% thermal performance capability of the PVC fill is standardly guaranteed for one (1) year only. Depending on the mil thickness, which ranges from 8 mil to 27 mil thickness, extended mechanical warranties are available.